When a muscle is overloaded beyond its ability to sustain the load, one of two things happen. The muscle fibers tear and/or the nervous system inhibits the muscle. Much like a circuit breaker in an electrical circuit. This is done to protect the muscle from more severe injury. If the inhibited muscle is loaded again during physical activity it will not be able to contract appropriately to support the force applied and will be weak. If the muscle continues to be stressed, the body will create pain so as to avoid more damage. Once a muscle is inhibited, the central nervous system develops an adaptive strategy to use other muscles or tissues to take on more of the load. This leads to adaptive movement patterns and is called ” recruitment” or “adaptation”. The adapted tissue becomes the next site of injury and the injury/adaptation cycle continues. Eventually, there will be no muscles in an area to adapt to. This places more stress on the ligaments and connective tissues and they begin to break down more rapidly. Leading to degenerative changes in the joint. Functional testing of isolated muscles defines positions of instability. Isolated muscle weakness leads to joint instability and restricted range of motion. The body will not allow motion that cannot be stabilized. Muscle tightness restricts motion and is a symptom of neurological inhibition of the antagonist muscles. Flexibility therapies increase range of motion but do nothing to improve stability. This can lead to further injury. MRT is a state of the art soft tissue system/movement based massage technique that treats problems with muscles, tendons, ligaments, fascia and nerves. Headaches, back pain, carpal tunnel syndrome, shin splints, shoulder pain, sciatica, plantar fasciitis, knee problems, tennis elbow, and nerve entrapment are just a few of the many conditions that can be resolved quickly and permanently with ART. These conditions all have one important thing in common: they are often a result of overused muscles. 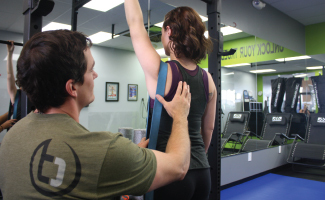 Functional movement plays a key role in locking in your treatment sessions. Quite often, you will get enough movement on your own through daily activities and continued exercise. However, it is important to identify when your body needs a little movement knowledge. For example, if you injury your low back while squatting or maybe your ITB from running, one of many reasons may be that your glutes are not firing well. Once we find those inhibited muscles and manually turn them back on in the clinic, it’s also important to teach your movement brain (motor cortex) how to connect the dots on your own during your normal routine. Your body may not naturally adapt to the new pattern, because it’s been stuck in an adaptive pattern for so long and needs a little help. We help this by supplementing with small amounts of corrective exercises, just like you would supplement a vitamin for a nutritional deficiency until your everyday diet (movement) incorporates the vitamin/movement pattern naturally. Targeting specific muscles and movement patterns will improve your motor control and get you firing on all cylinders at all times, helping to prevent injury. You may be asking yourself, what is Kinstretch? Kinstretch is a movement enhancement system that develops flexibility and usable ranges of motion. It is unlike yoga in that we train for passive ranges. What Kinstretch does is find your passive range and trains it to be active. It closes the gap between your passive and active ranges, mitigating the potential for future injury. Mobility training is strength training. The strength component is trained using isometric contractions at all angles. It is a practice of training the body to be strong at its weakest angles. By giving constant feedback to our tissues of how we expect them to heal and move, we build a better foundation to attack the things we love with more efficient use of power and control. Learning to control your body advertently develops greater motor control and stronger signals from the brain to your deepest stuff: your joint capsules. Consistent practice yields greater results. There are many reasons why you might need to get adjusted by your chiropractor. Here’s a quick and easy way to explain the basics. A chiropractic adjustment delivers new movement information to a previously forgotten range of motion to one or several joints of the body, such as the spine, ankles, elbows, shoulders, feet, etc. Anytime your body undergoes physical stress, injury or inflammation it has the ability to restrict ranges of motion in your joints. It’s important to restore that motion by delivering proprioceptive input to the joint, ie: movement information. This allows some muscles to relax and others to turn on, balancing the system and often times relieving your pain! Myofascial Decompression Cupping is a specialized manual therapy technique that utilizes cupping tools from traditional eastern medicine, and treatment techniques from western medicine such as active range of motion, joint mobilization and stretching. The cups are applied to the target tissue, and then the practitioner takes the patient through a series of movement patterns to achieve the desired outcomes based on the patients goals. This treatment is effective in improving recovery time after a hard workout, reducing scar adhesions/tissue, improving mobility and flexibility, and reducing trigger points/tension and pain. It can speed up the healing process after an injury by improving inflammation and circulation to the tissues, and by reducing compensation patterns. It is a very fast and effective treatment and can be used on a variety of sports injuries, postural syndromes, and pain patterns. MFD cupping can be used on almost anyone, regardless of age or health condition. 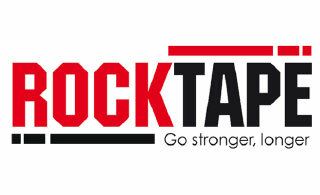 RockTape is a natural-hybrid product and consists of 97% cotton, 3% nylon and uses no drugs. The adhesive is a hypo-allergenic acrylic based adhesive and contains no latex. When we manufacture Rocktape, we introduce a bias into the weave of the fabric so it stretches in one direction and not the other. This creates what we call a bio-mechanical lifting mechanism which lifts the skin away from the soft tissue. This allows blood to move into an injured area which accelerates healing and recovery. Rocktape is also great for correcting tracking issues in knees, shoulders or elbows. It can also be used to correct posture problems including those associated with pregnancy. 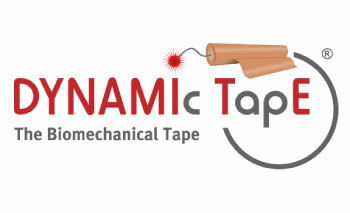 Dynamic Tape is not a kinesiology or athletic tape. It is the “Original” Biomechanical Tape ®, an entirely new category of sports and therapeutic taping. These innovative, 4-way stretching tapes with strong elastic resistance and recoil of varying grades, absorb and inject force to reduce the workload on the body. Our taping methodology aims to directly manage load, modify movement patterns and assist function. Dynamic Tape does all this with a soft, breathable tape that is of such high quality and strength that professional athletes around the world trust our product everyday. From rehabilitation to the World Cup, Dynamic Tape is changing the way we look at sports and therapeutic taping. Trigger Point Dry Needling (TPDN) is a procedure used by physical therapists to manage pain and address movement impairments. When muscles are in dysfunction, they can be hyperactive, weak, or completely inhibited. TPDN is used by therapists to reset those muscles in dysfunction, getting them back to their functional resting tone. 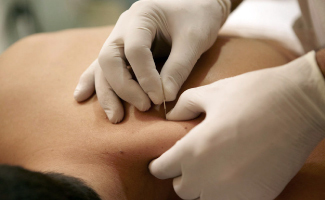 The therapist uses a thin filiform needle to penetrate the skin and stimulate underlying myofascial trigger points, muscular, and connective tissues for the management and treatment of dysfunction pain. TPDN is used in conjunction with post needling corrective exercises to reduce or restore impairments of body structure and function leading to improved activity and participation. A functional movement assessment (FMA) is a perhaps one of the most powerful diagnostic tools available for musculoskeletal dysfunction. Anytime the body has experienced an injury, repetitive stress, change in training or sport, or loss of function somehow, it is crucial to get an objective visual of that person’s movement patterns. An FMA can look like a variety of different movements from a squat, plank, push up, walking, running, twisting, turning, etc, etc. The use of a video and editing application make for very powerful objective measurements of someone’s movements and dysfunction. Not every FMA looks alike either due to the layers upon layers of potential dysfunction in the human body and where exactly it’s coming from. In general however, a well comprised FMA has 3 components: 1) Motor Control, 2) Stability and 3) Mobility. It’s important to understand that mobility and stability must coexist and we cannot have one without the other. The stability component is often times simply regarded as the ability to have motor control. Without the nervous system being on board for proper proprioception, sequencing and patterning, then you quickly lose that motor control and stability. If the brain senses an “unsafe” or “unstable” environment such as a muscle or group of muscles not firing well, then the brain will “restrict” fascia and muscle which equals a loss of mobility. 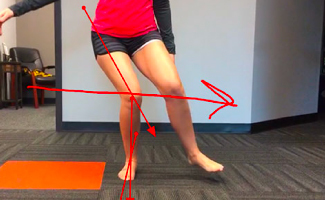 Through proper movement assessments we can better identify these weak links and correct them. Nasal Specific Technique (NST) is a cranial suture adjustment that can be used to alleviate post-concussive symptoms. A small balloon is inserted into the nasal passages, and is quickly inflated and deflated. This is performed four times on each side of the nasal passages. By pressurizing the inside of the cranium, the small bones of the skull are expanded. This expansion unlocks the sutures and chambers within the skull to normal function. The NST is by no means a cure-all, but can have incredible results for those suffering from post-concussive symptoms. To correct internal misalignments, a practitioner uses mild, direct pressure to melt or release facial holdings and allow the body to find health through the re-establishment of balance. It is currently believed that the slow, deep strokes of Structural Integration stimulates intra-fascial mechanoreceptors (sensory neurons of the muscle nerve), which in turn trigger the nervous system to reduce the tension of the related muscles and fascia. Ki-Hara is the method of resistance stretching. It’s an innovative form of bodywork that increases strength & flexibility. Ki, means the circulating life energy that in Eastern philosophy is thought to be inherent in all things. Hara, is the vital center of the self, the focus of existence. It is located one and a half inches below the navel and one and a half inches inward toward the spine (also the body’s central axis). Energy (chi/ki/prana) is stored in the Hara where it is heated before spreading throughout the body. Ki-Hara’s efficiency makes it ideal for those who don’t have time for many different forms of work – incorporating pain removal, flexibility training, strength training and soft tissue manipulation in each move. During assisted sessions, we also utilize a technique of muscle, deep tissue, and fascia release called “mashing” to help loosen up muscles, flush toxins, and get maximum results. 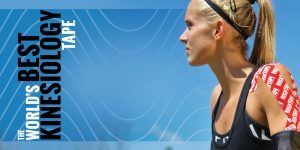 The Graston Technique, originally developed by athletes, is changing the way clinicians (including physical and occupational therapists, hand therapists, chiropractors and athletic trainers) and patients view treatment of acute and chronic soft tissue injuries. 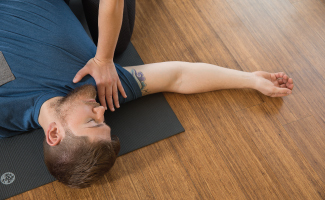 Graston Technique is an innovative, patented form of instrument-assisted soft tissue mobilization that enables clinicians to effectively break down scar tissue and fascial restrictions. The technique utilizes specially designed stainless steel instruments to detect and effectively treat areas exhibiting soft tissue fibrosis, chronic inflammation, and nerve entrapment. FAKTR (pronounced FACTOR) is a concept, not a technique. 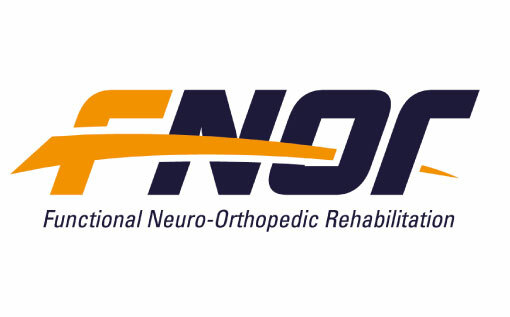 The acronym stands for Functional and Kinetic Treatment with Rehab. 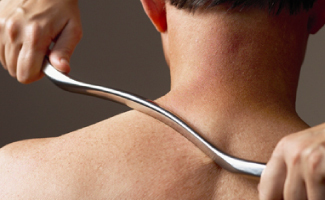 Approximately 9 years ago, Greg Doerr, DC and Tom Hyde, DC began to experiment with treating soft tissue/fascial disorders through the use of instruments. 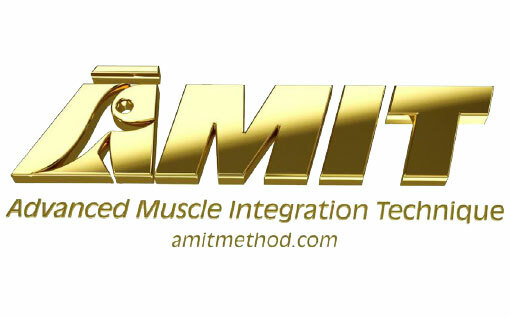 Both Greg and Tom trained in a variety of soft tissue techniques including instrument assisted soft tissue mobilization (IASTM) and decided to incorporate their previous training into a concept that included function and treatment of the kinetic chain while utilizing various forms of rehabilitation at the same time. They also incorporated treatment in the position of provocation (pain, loss of range of motion, feeling of tightness within the fascia/soft tissues) and during motion. FAKTR incorporates all of the above variations to evaluate and treat soft tissue/fascial conditions. These concepts are quick to apply, easy to grasp and produce rapid results. 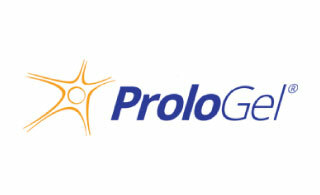 ProloGel® is a new kind of therapy and sports gel formulated based on cutting-edge discovery in clinical neuroscience, developed with the high-volume rehabilitation specialist in mind. Rapidly soothing and long-lasting our topical formulae are developed utilizing unique physiological mechanisms to bring about clinical benefits that you will notice immediately. For use during therapy or between treatment sessions, ProloGel is an indispensable tool for the Modern, Manual, Rehabilitation Specialist. ProloGel® is a one-of-a-kind formula, born from the proliferative therapies, that is used by a variety of practitioners to complement their existing clinical methods. Practitioners that utilize our products describe a unanimously impressive clinical experience with near unbelievable results. There simply is no other product like ours.